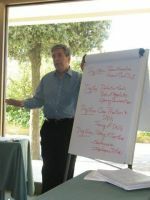 The Training will be conducted by Professor Joseph Folger, the founding father of transformative mediation and co-author of the book The Promise of Mediation: Responding to Conflict through Empowerment and Recognition and The Promise of Mediation: The Transformative Approach to Conflict, which represents the ground literature work for transformative mediation. The training is intended for mediators who have beforehand attended the 4-day Basic Training in Transformative Mediation: Ideological Foundations and Practice (either in Portorose 2012 or Ljubljana 2013, Slovenia, or elsewhere). 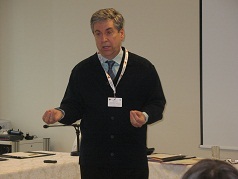 Advanced Training on Transformative Mediation will be held in English. Plenary sessions will be held in English, though participants will be allowed to do the practice skills and the role plays in their native language. If you did not attend the Basic Training by now, you can register for 4-day Basic Training that will be realized in November 2013 and March 2014 by Marko Iršič, Certified Transformative Mediator. – after May 1, 2014: 890,00 euro (VAT not included). – Cancelling before May 1, 2014 will result in 50% refund – substitute from the same organization possible with no extra charge. – Cancelling after May 1, 2014 – no refund – substitute from the same organization possible with payment of additional 10% of administrative costs.